Free Estimates. Unlimited Potential. Only the Best for your Next Remodeling Project. A remodeling project can be one of the more exciting and overwhelming experiences in a homeowner’s life. The excitement stems from the fact that you can finally rid yourself of having to get ready for work each morning in the tiniest and non-functional bathroom imaginable, or you can finally have that outdoor patio to host all those holiday parties with friends and family. Regardless of what project you need help with, the potential is unlimited. But where do you start? Ah, that can be the overwhelming part since you probably have a ton of ideas running around in your head. That’s where McBride Construction Services steps in. With one no-hassle consultation, we can help you zero in on what you really want and show you how we can turn those ideas into a reality. Your kitchen should represent your style just as much as it should represent your needs – right down to the very last doorknob. McBride Repair & Remodel can plan and design to match the existing layout and measurements of the space, or offer solutions to expand and reimagine. Got an idea that is a tad off the beaten path? Do you simply need to renovate old and outdated amenities? Everyone wants that beautiful bath retreat. If nothing else, homeowners want a space that is functional and gives them all the space they need to get ready for work each day. We’ve got great design ideas to match almost every need, and we’re agile enough to handle whatever ideas or design needs you may have. 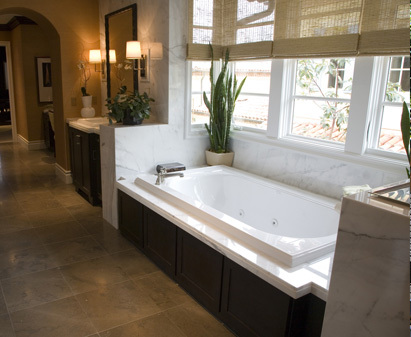 We work with master bathrooms, guest bathrooms, and powder rooms, and we value our work highly. There is really no limit to what we can do when a customer needs us. One look at the list below, and it’s clear we handle everything from expanding living spaces to outdoor jobs and smaller handyman work that can be completed in a matter of 30 minutes to an hour. We really do have you covered from A to Z. Give us a call today. Don’t see a service on here or unsure if we handle a particular remodeling project? With a quick phone call, we can answer that question, including referring you over to someone who can help you. We take pride in all our work, and the end result is to complete the project and make it look like it was always a part of your home.